With the launch of Falcon Heavy and its cherry red Tesla Roadster completed, SpaceX is on to its next mission. After multiple delays, it is set to launch a Falcon 9 rocket on February 22 9:17am ET, carrying an advanced radar satellite and two test internet satellites up into space. A live stream of the event can be watched above. But in the meantime, here are a few things you should know about the Falcon 9 launch. 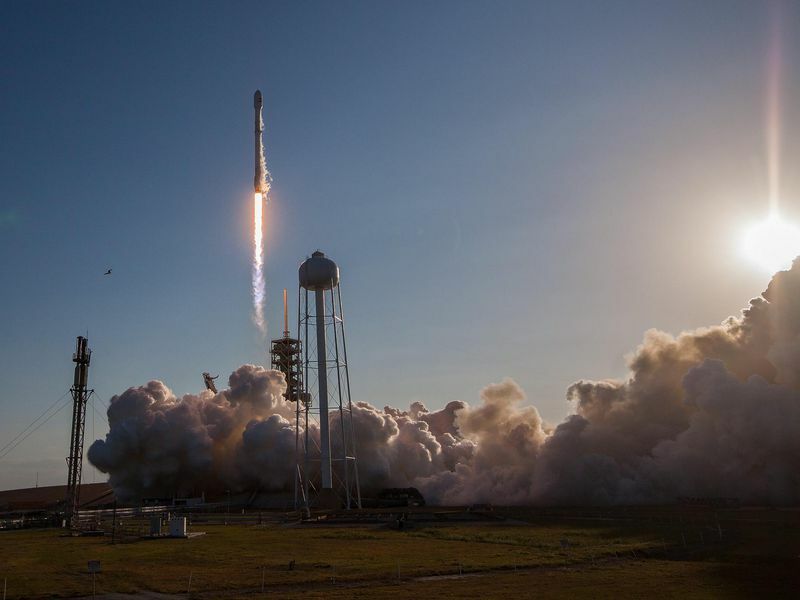 SpaceX’s two test satellites, known as Microsat 2a and 2b, are the first of nearly 12,000 planned satellites for the Starlink project, which is aimed at providing low-cost global broadband internet. SpaceX has said little about the project, but Eric Mack at CNET reports that the first 800 satellites in Starlink will be enough to provide some broadband services in the U.S. and other countries. The rest will complete coverage around the world. Unlike traditional satellite internet, Starlink satellites will be in low orbit to cut down on lag time of signals and data traveling to and from home satellite dishes, Mack writes. Once completed, Starlink should be able to provide fast internet access for rural areas that currently lack options. As Gizmodo’s George Dvorsky reports, 34.5 million Americans did not have access to both fixed and mobile broadband in 2014. 12,000 is a lot of satellites. Where will they all go? The 12,000 planned satellites will be double the number of satellites ever launched into space, reports Jacob Siegal for BGR. But SpaceX won’t launch all 12,000 at once. After these test satellites are observed, SpaceX’s plan, submitted to the Federal Communications Commission, is to deploy around 4,425 small satellites in low Earth orbit, between 700 and 800 miles high, Mack writes for CNET. Once those are running, SpaceX plans to launch another 7,518 satellites around 200 miles high. Before Starlink is operational, there’s a lot the company needs to figure out, The Verge’s Loren Grush writes, but we do know that the satellites will be moving around above Earth, rather than staying in a fixed position. According to Robin Seemangal of Wired, the booster that will fly these satellites is an older Falcon 9 model. It flew last August and landed on a drone ship, writes Alan Boyle for GeekWire, and was then refurbished for the latest mission. But SpaceX plans to upgrade its Falcon 9 first stage, Boyle writes, so it will not be reused after this latest launch. SpaceX will likely send it into the ocean, perhaps testing the effects of firing its engines upon approach. While SpaceX’s first-stage boosters are typically recovered and refurbished, Falcon 9 fairings are usually thrown away, Boyte writes. A fairing is like a giant nose cone that protects the payload during launch and helps deliver it into space. They’re not cheap to create; fairing reuse could save the company around $5 million, Tariq Malik of Space.com reports. A giant net could be just the solution. SpaceX equipped a boat, dubbed Mr. Steven, with metal arms and a net suspended between them. “It’s like a giant catcher’s mitt, in boat form,” Musk told reporters after the Falcon Heavy launch, according to Malik. This will be the first test of the catching device. Will Falcon 9 be carrying anything else? Yep! The plan is to also launch an advanced radar satellite for Spain. Dubbed Paz, this is actually the primary mission of the launch. The Earth-observation satellite will be used by Spanish commercial companies and the Spanish government, Grush reports.